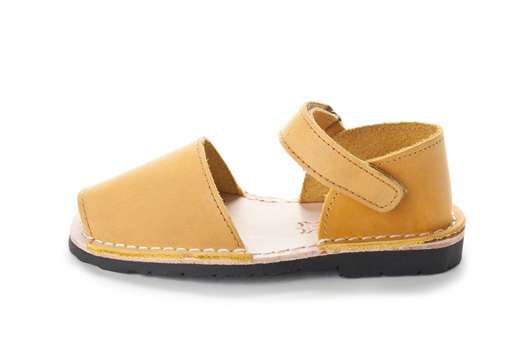 Our Frailera Pons Avarcas for kids in Saffron are a bright sunny yellow citing inspiration from the island Menorca, where each pair is carefully handmade by local artisans. Our Pons sandals are produced with the highest quality all natural leather and with a durable yet comfortable rubber sole. These kids avarcas have a velcro strap closure & greater heel support to keep your little sunshine more stable for the day's adventure.